The first convention and visitor’s bureau to achieve the ASTM/APEX Level Two certification for a sustainable meeting destination. The criteria within the certification includes a prioritization to sustainable procurement, assisting planners with options for donations and volunteer opportunities, and working with our members to assist in their sustainability journey. 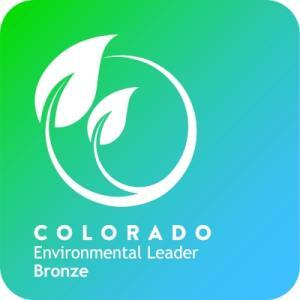 In 2017 VISIT DENVER is proud to have been certified to the Colorado Environmental Leadership Program at the Bronze Level. This program focuses on tracking of our metrics and implementing a sustainability plan for our organization." Review our Environmental Policy to learn more about our commitments and how we can work with you as a resource to achieve your green meeting goals. In addition to our efforts as a CVB, we are proud of the city of Denver leadership and focus on sustainable development and infrastructure. These programs and practices help us support sustainable meetings by building a community of resources and innovation. Lead by the City and County of Denver’s Office of Sustainability, these efforts strength our economy and enhance our quality of life, and your experience in Denver. From Harvey Park to Park Hill, native, transplant, or visitor, we all love this place. We&apos;re proud to call Denver home, and we show our love for the Mile High City by doing our part to take care of it. For more information on how you can #LoveThisPlace and help Denver achieve our 2020 Sustainability Goals, please click here. Be green by holding your conference or trade show at the Colorado Convention Center. Find out why it's the premier eco-friendly meeting space. How sustainable are Denver hotels? Check out the survey that covers everything from waste management to energy conservation. 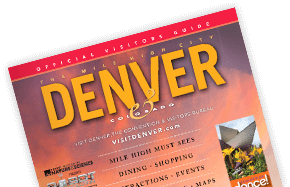 Find environmentally friendly hotels, event facilities, restaurants, breweries and more in the Denver metro area.